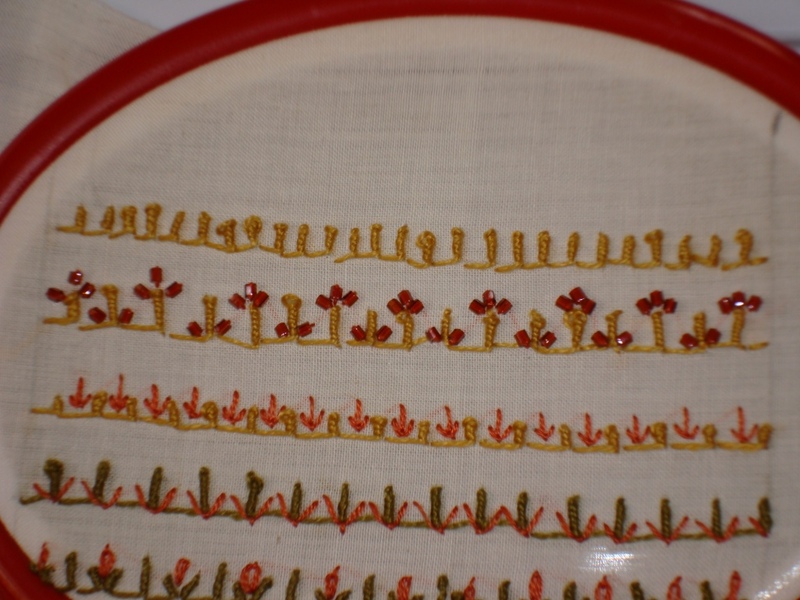 The 10th week stitch of the TAST2010 challenge is cloud filling . 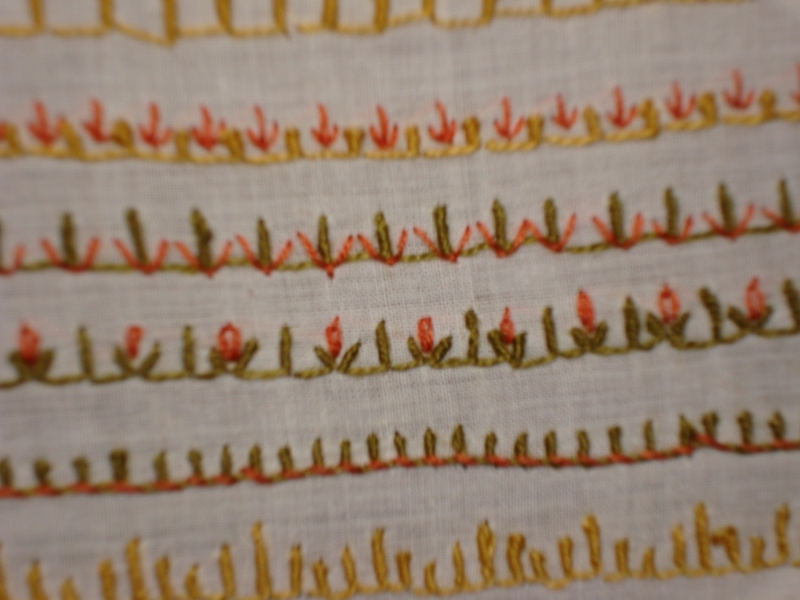 It looks similar to 18th week wave stitch.So I’ll post this stitch later. 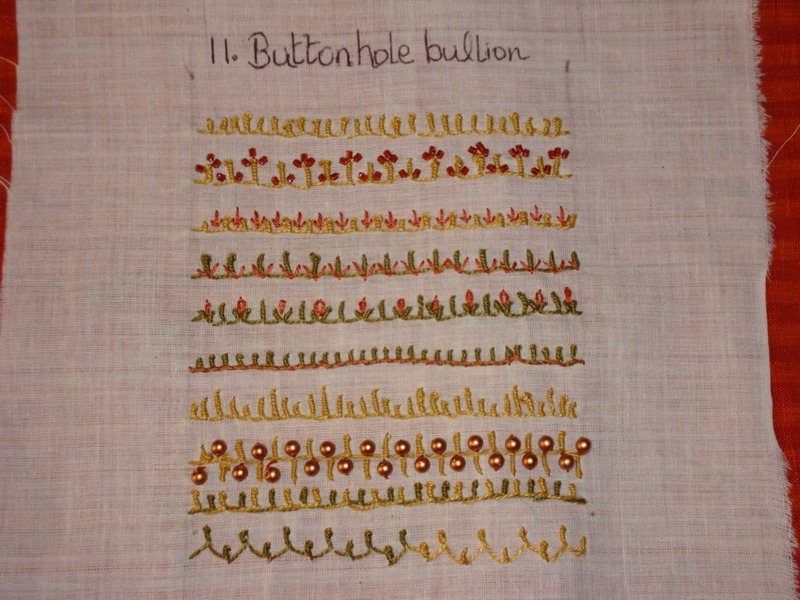 The 11th week stitch is Bullion buttonhole st.This name is also quite long. Iam happy about one thing, Iam now comfortable with bullion,it really helps using milliner needle. 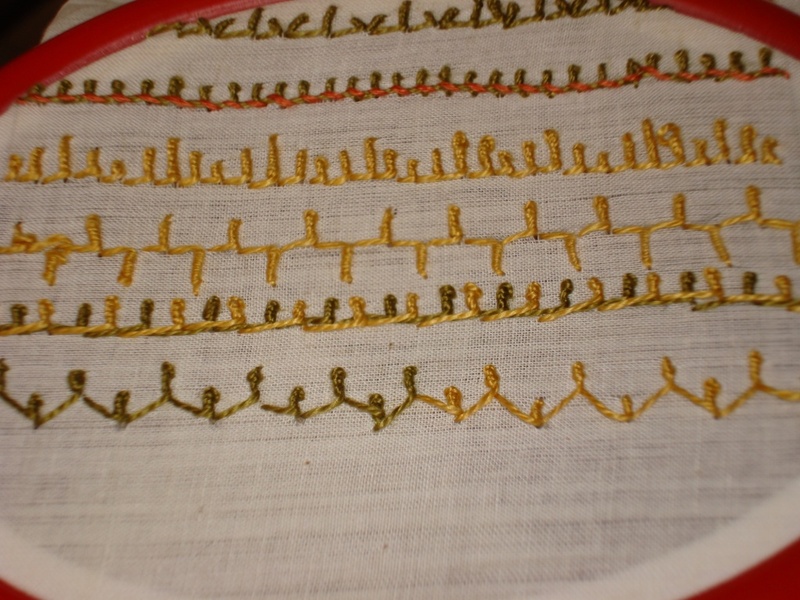 The first 3 pictures are of the original stitch variations, The others are with embellishments. On these 4 lines ,I just varied the height of the bullions. 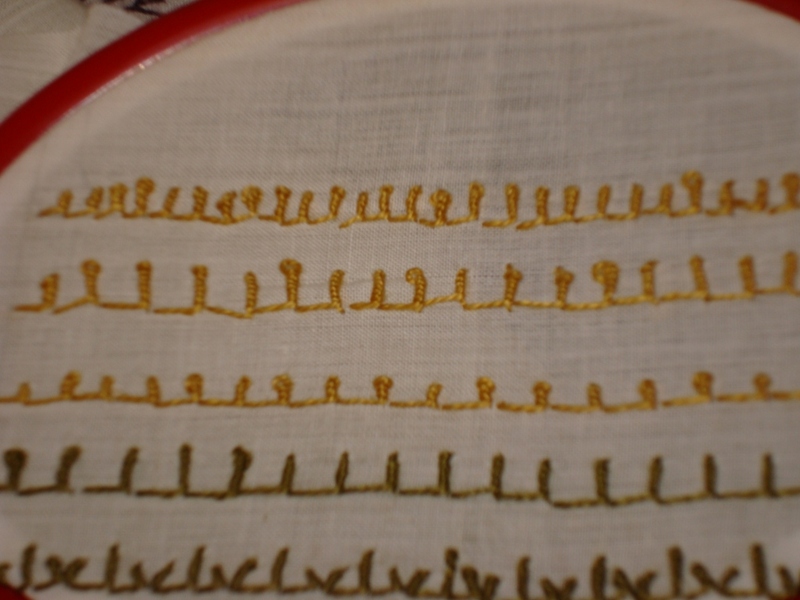 In this line,I varied the height of the bullion to form a pattern.On the 9th line , one stitch is made on top and bottom.The next line is done in two threads one on top of the other.The last line is the zigzag variation of the stitch. 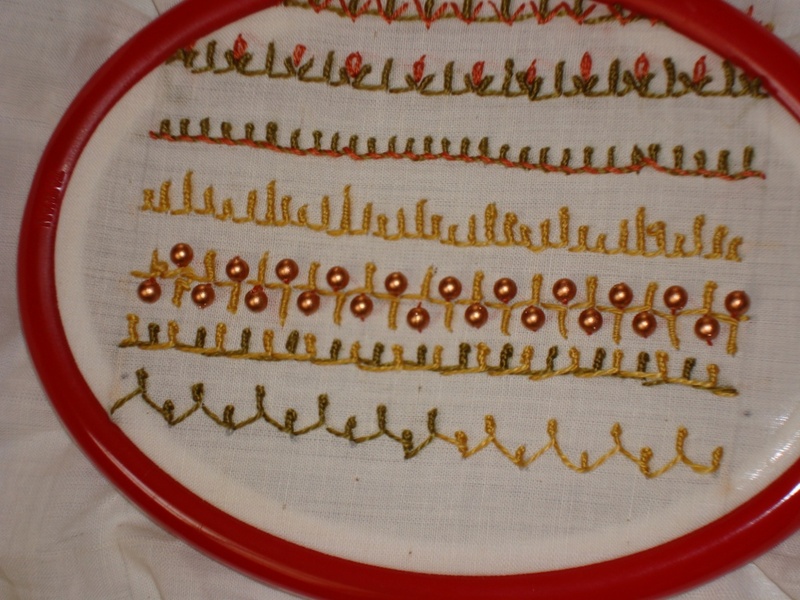 I added red beads,stitched some fly stitches and detached chain.And one line with copper beads.